I wouldn’t say that I am the most frugal person when it comes to vehicles, but with gear like sleeping bags and stoves I generally adhere to a policy of “if it ain’t broke don’t fix it”. This is probably why up until two months ago I still used the same oversized Kelty bag my father bought me when I was ten. 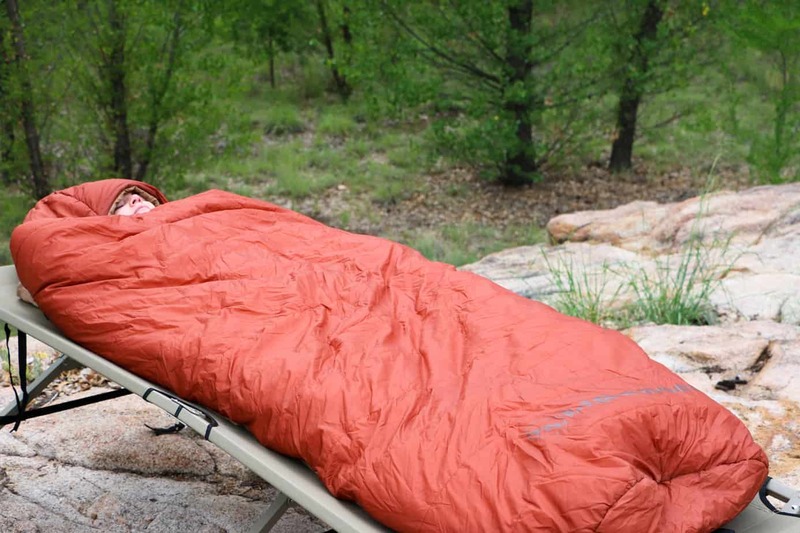 Unfortunately with a big trip to Alaska coming up in October, it was clear my trusted mummy bag wasn’t going to cut it; so our editor Christophe Noel stepped up to usher me into the new millennium with a Big Agnes Hog Park 20. Upon first inspection I was immediately surprised by just how spacious it is. At 6’4″ finding anything that fits me is a challenge, but the Hog Park has nearly as much room as my tent. In fact it is so cavernous that my lovely assistant nearly disappeared from view when crawling inside for photos. These luxurious dimensions make it perfect for those who toss and turn at night or sleep on their sides. 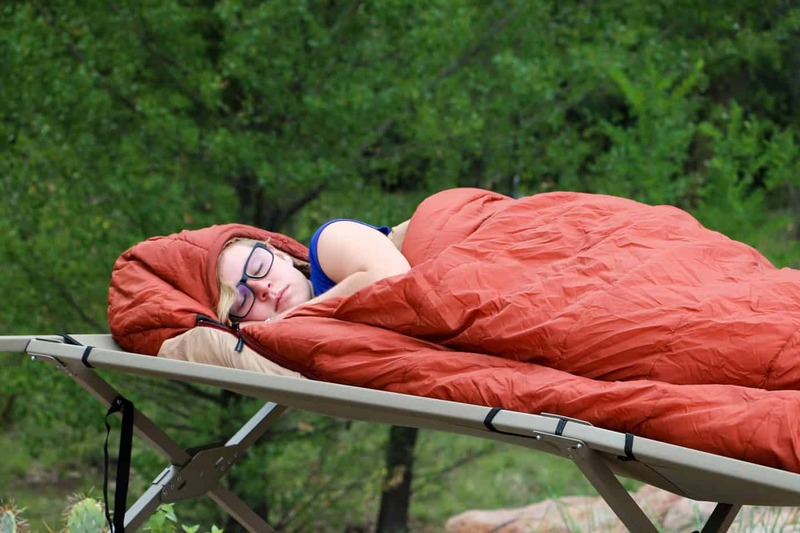 Big Agnes achieved additional comfort by ditching the standard tapered design in favor of a squared pattern, allowing the user to stretch out and move without the typical sleeping bag shuffle of narrow competitors. The “Free Range Hood” is similarly large, and enabled me to lift my head and even sleep with an arm under a camp pillow when desired. I especially liked that in varying temperatures the hood can be easily pulled from fully open to completely closed in a second. Even on a frigid night in the mountains, overlapping the hood on the bag made it feel like I was in the warmth of a cabin. Of course the Hog Park has more than just size going for it, it is the design that puts it over the top. 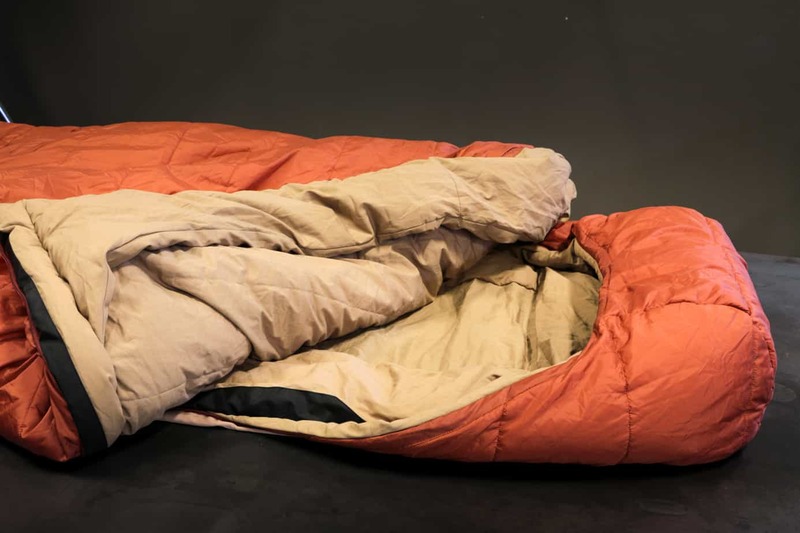 Now I’ll be honest here, if last year someone had asked me what sort of features made a sleeping bag great, I would have said warmth. 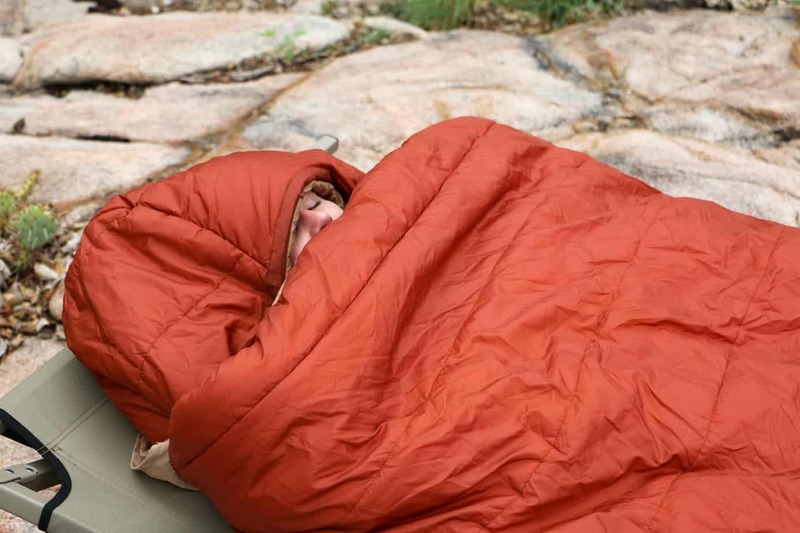 After spending time with the Big Agnes however, I’m realizing that it takes a lot more than that. For starters the no-draft collar, wedge, and zippers have totally changed my expectation of temperature control. No longer do I fear stretching out too far to be greeted by an icy chill, as each section is warmed equally and no drafts are able to make their way through the seams. The corner hand pockets are a personal favorite, and allow the owner to pull the fabric around their shoulders like a blanket without requiring them to roll any portion of fabric over. 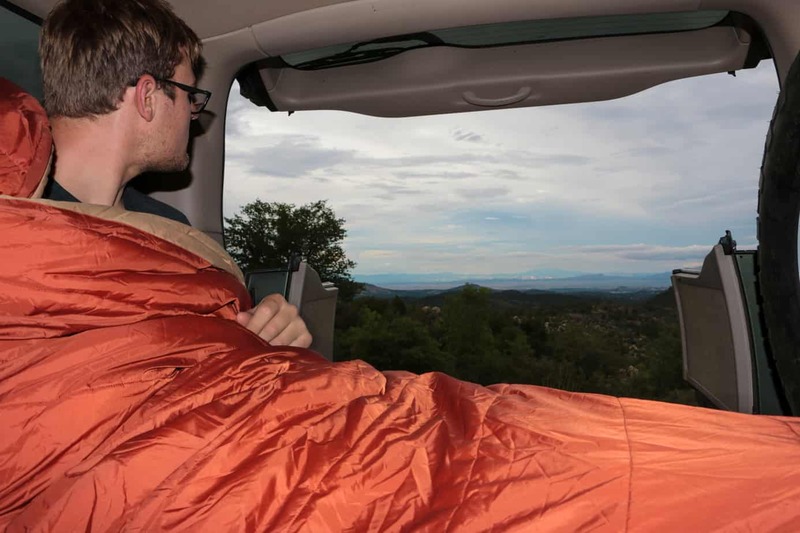 The double zipper design improves versatility by turning the Hog Park into a comforter, switching which side you keep open, or even enabling you to zip two bags together. 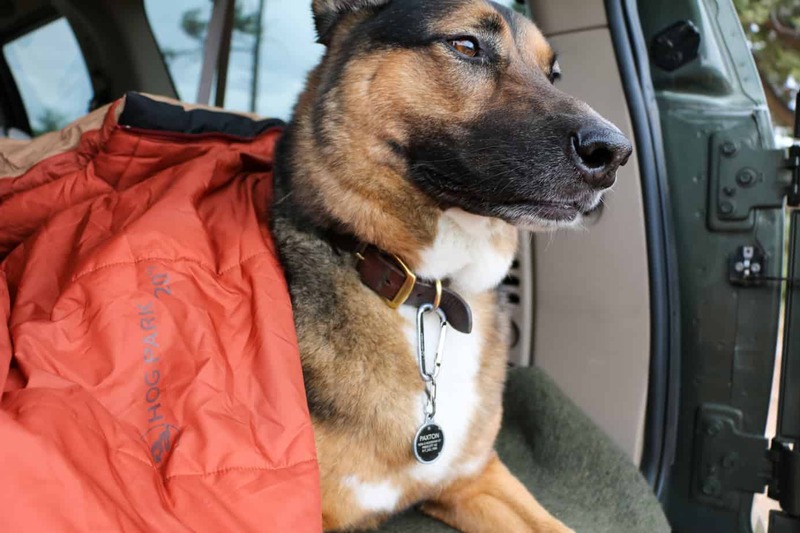 Additional features include a stretch fabric sleeve to keep a sleeping pad of any size secured below your back, a Nylon taffeta shell fabric with water repellent finish, and cinch-able hood that can be undone with one hand. 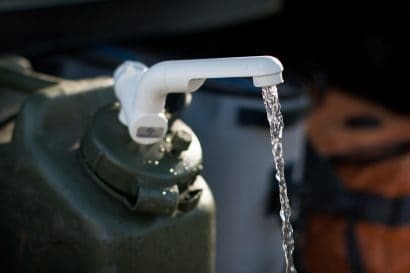 I found the water repellent finish to be especially handy on my last trip, where heavy rains and cold nights led to excessive condensation in my tent. Despite its size and comfort, the Hog Park packs down into a nylon stuff sack no bigger than that of my previous Kelty. It’s not going to be in your next adventure motorcycle kit by any means, but the 12″ x 23″ container is an easy addition for anyone using a four-wheel drive. 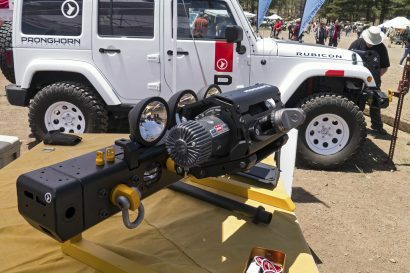 While we tested the 20° version of this product, they are available in a 30° and 40° variant as well. 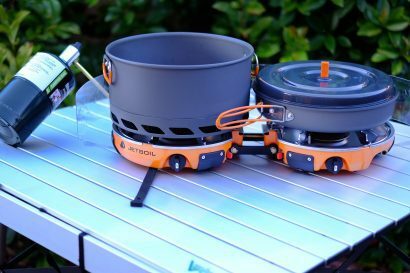 I highly recommended choosing the model that best suits your regular camping needs, as the 20° does get hot when temperatures reach 40° and up. So is the Hog Park worth the $189.95 price tag? Well it has certainly changed the way I camp for the better. I fall asleep quicker, sleep longer and more deeply, and wake up more alert and ready for the day ahead. 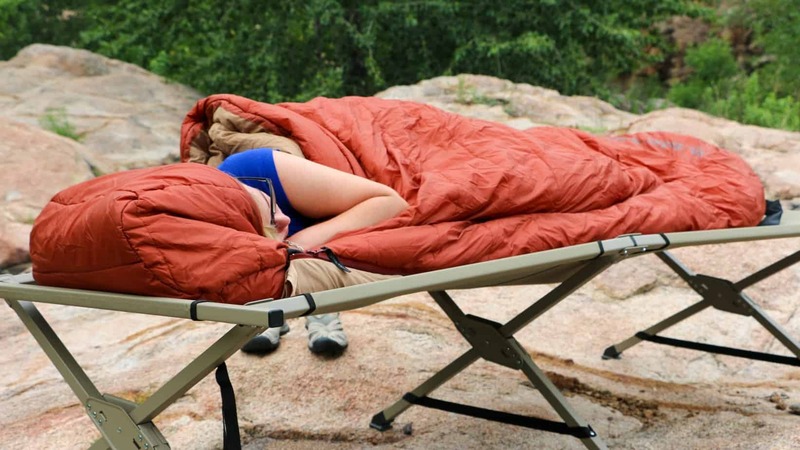 Sure my old Kelty can still get the job done, but after experiencing the comfort that Big Agnes has to offer, I know I’ll never go back. 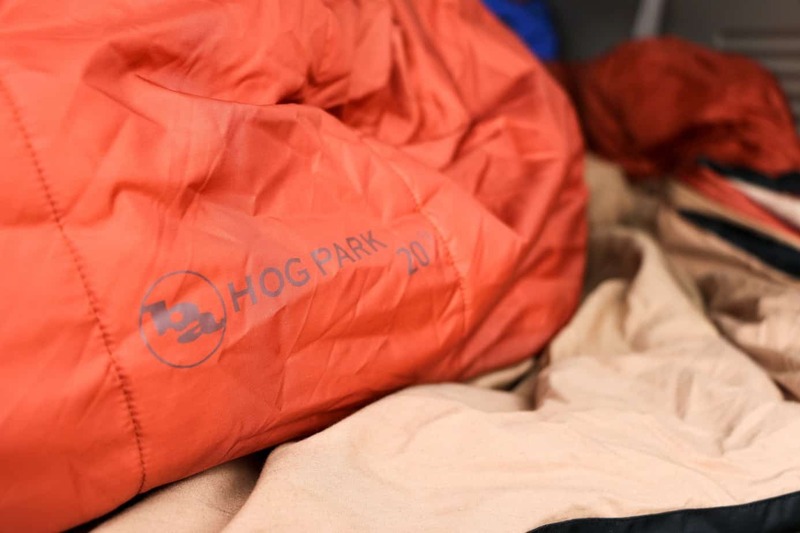 For more information, check out the Hog Park series and other great products on the Big Agnes website here.